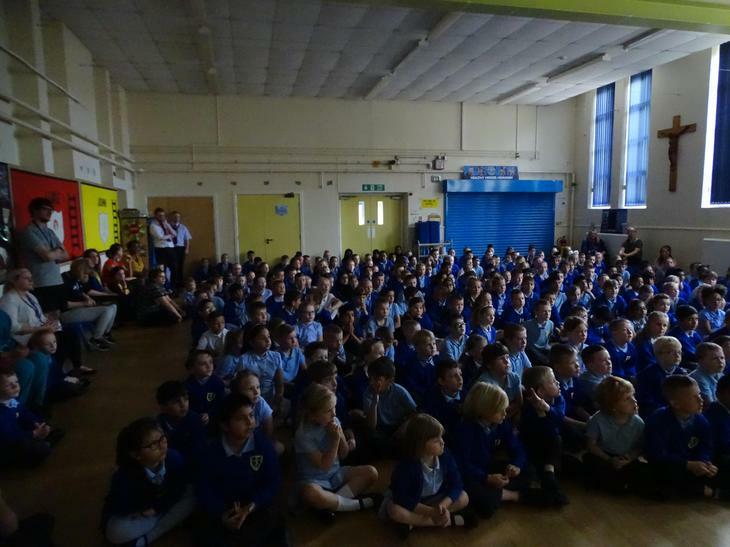 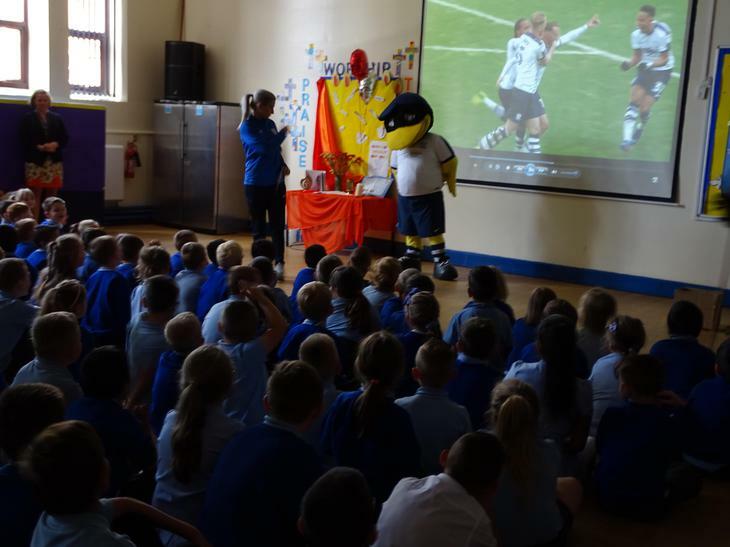 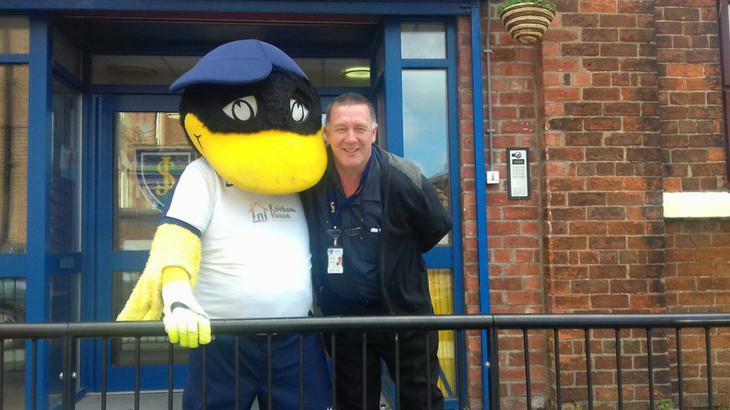 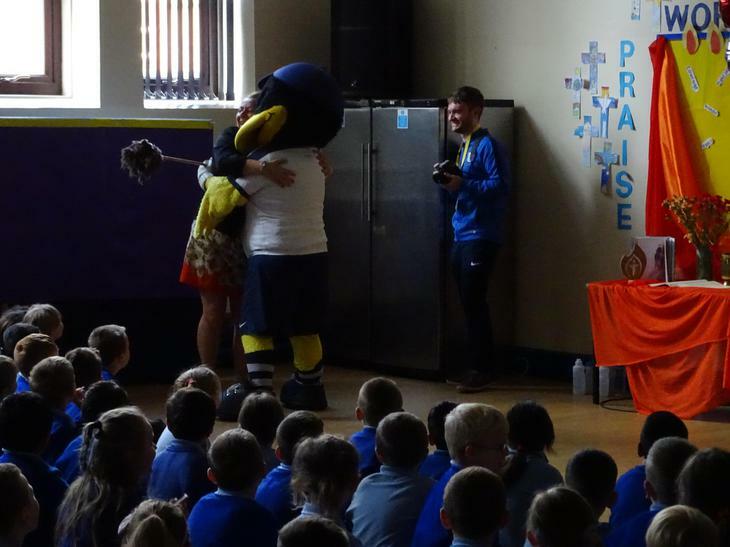 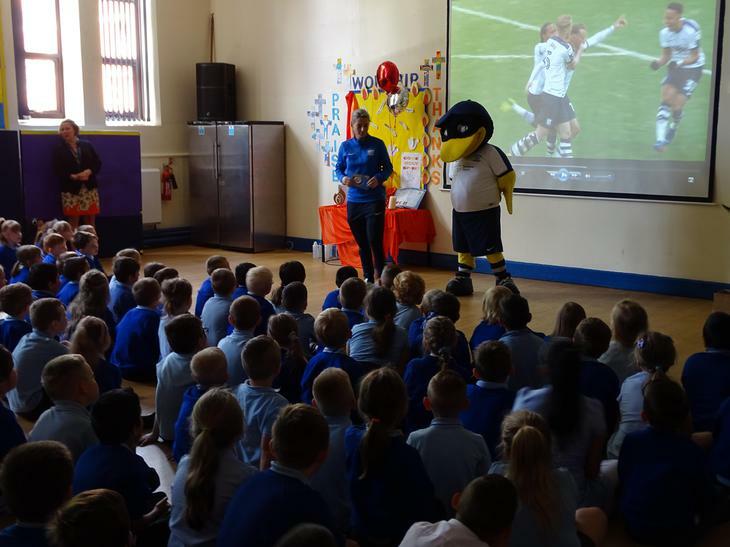 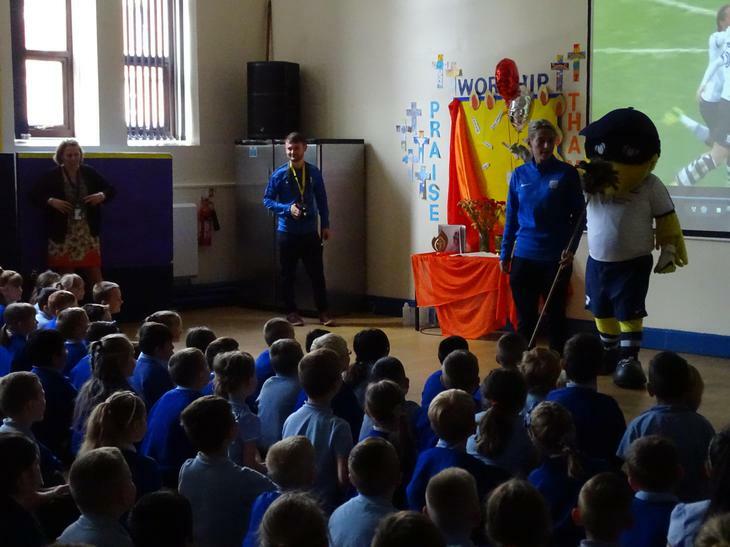 On Thursday, the Deepdale Duck came to visit and talk to the children about the upcoming football season. 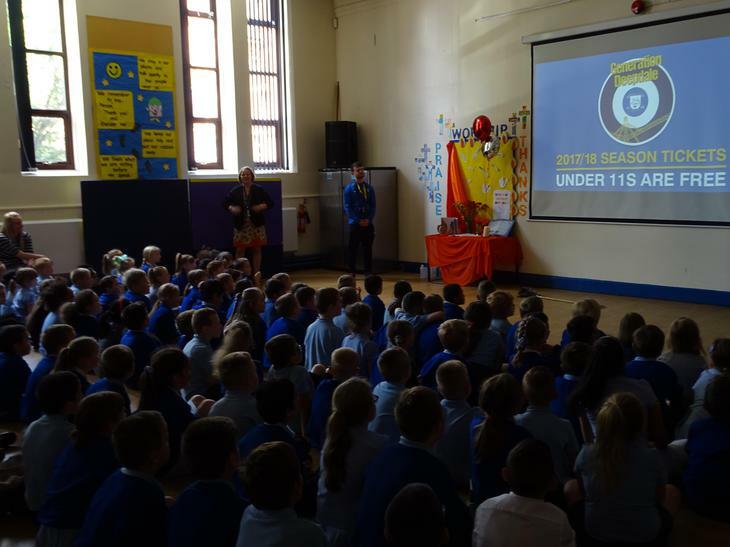 Next season, Preston North End are offering free tickets to all children under 11 years of age with a paying adult. 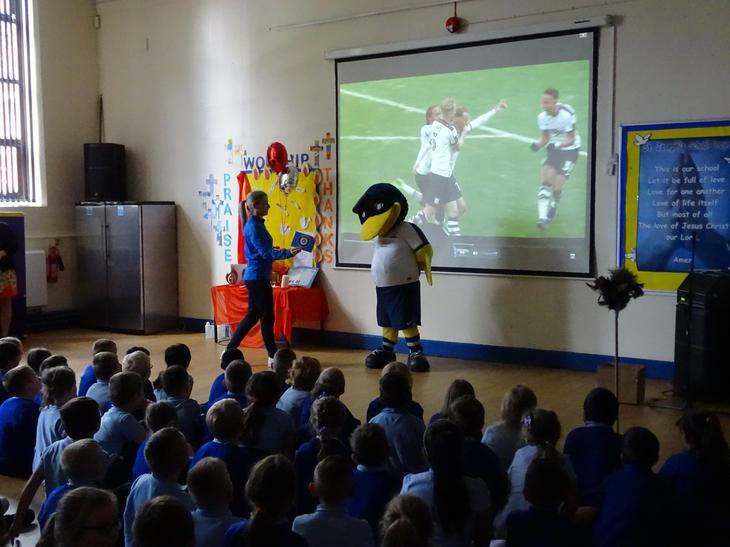 The children have also been invited to enter a competition (sent home with them) and if they win, they get the opportunity to be a mascot.